The Course Be Clear, There’s Nothing To Fear. So Hoist The Sails and Let’s Tell Some Tales! 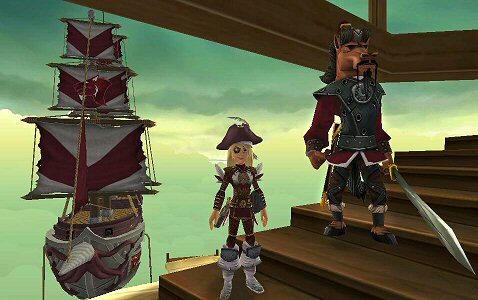 Our family blog for Pirate101 game guides, story overviews and information for playing the game. Along with news and special announcements from KingsIsle. You’ll find information for Zeke quests, Spiral Books, Shipping, Minions and more! We provide maps of areas within each world, help you be prepared for what’s inside a world or dungeon, and when needed provide clarification to a quest that might save you time and frustration while playing the game. It is not our intent to take the fun out of the game or provide a lot of spoilers for the playing of the game. Our guides and information are designed to give help to players who get stuck or lost and need some help getting back on track. Our blog used to be an official fansite. On November 5th, 2012 A Pirate’s Portal became an Official FanSite of Pirate101. In September 2014 we Resigned from the Official FanSites due to illness. We still posted articles and news, but very rarely. We returned to posting in August 2018, but we didn’t announce any big return until September 21, 2018 with “We Made Some Updates“. We have not re-applied to be an official FanSite or Pirate101 blog…yet. Right now, I’m not sure if we’re going to do that at all. You may not realize how much work goes into being a FanSite. Those folks put in a great deal of work! So give them a visit and let them know how much you appreciate their efforts. © 2012-2018 A Pirate’s Portal; Springwolf, D.D., Ph.D. All Rights Reserved.